Waiting – There’s a lot of talking and a heart of gold! Tusshar Sasi	 May 28, 2016	 Leave a Comment on Waiting – There’s a lot of talking and a heart of gold! ⁠⁠⁠First things first. Anu Menon’s Waiting has been censored as a ‘Hinglish’ film. If I am not wrong, the online ticket booking websites say the same. So, if you are looking to watch a feature film this weekend, look beyond English, Hindi and regional titles and book one for this affecting, sentimental (not soppy) flick. Anu Menon knows her conversations. Back in 2011, she made this delightful rom-com called London Paris New York that was designed on the lines of the Before Trilogy. With two diverse people facing a similar trauma forming the protagonists – Waiting is equally talky in nature. Banters define Shiv and Tara. The former has a studied approach to speaking. His usage of words is thought over. Slangs? He is a stranger to those. Tara is an atheist, feminist and everything a modern city girl could be. She speaks the lingo of today – with the shits and fucks in place to express agony and excitement. This contrast in speech is what draws you to the characters. Are there moments you wished the characters remained silent? Well, yes. Oh… the setting is Kochi, Kerala. Hence, we see a handful of Malayali characters with their amusing English accent. Not badly done at all. Because they’re worth waiting for! Pankaja (Suhasini Maniratnam) and Rajat (Arjun Mathur). Former is in a coma for about 8 months and the latter’s story starts with the film. Admitted in a posh Kochi hospital, their return to life is awaited by their respective spouses. While Pankaja-Shiv is a childless couple with different roots, Rajat-Tara married much against their families’ wishes. How different would it have been if the latter were just living in? Well. Suhasini in a matter of few minutes proves why she is a gifted actor. Her chatter zooms from Hindi to Malayalam to English thus completely winning us over. Mathur, on the other hand, seems like just another love-struck husband. His romantic moments with Kalki fail to create excitement. Honesty. Waiting offers no gyan, no simple solutions, no fairy tale funda. It explores the vacuum you feel in those ‘crucial 48 hours’. It exposes the meaninglessness of your Facebook timeline as you wait with a heavy heart outside the ICU. It also tells us not to judge the ones who do not turn up when you are distraught with a personal trauma. Not turning up doesn’t mean they don’t care, says the film. A loving neighbour that sends Shiv his dinner, a practical friend whose responsibilities bog her down, an intern doctor who couldn’t fake himself – the film has its characters. Even the blue Maruti Esteem car added its share of charm. As for little, noteworthy moments, what tops my list is Tara’s dream after a night of drinks. The dream is akin to an actual dream. It has references and backdrops from her previous conversations with Shiv – the dirty bathroom, 62 bottles and tubes of cosmetics, the hot wife, role reversal. The final moments of the film are equally fascinating though predictable. … is a strong, lingering aftertaste. One could attribute its absence to the film’s predictable plot and extreme talkativeness. There are certain key sequences that doesn’t work in entirety. Case in the point being the tiff between Shiv and Tara. The writer struggles to make it an actual spat. For a sequence that begins well, it ends up as an equally frivolous war of words. The only song just about passes muster. One also feels they should have done away with Rajat’s colleague’s character (Rajiv Ravindranathan). 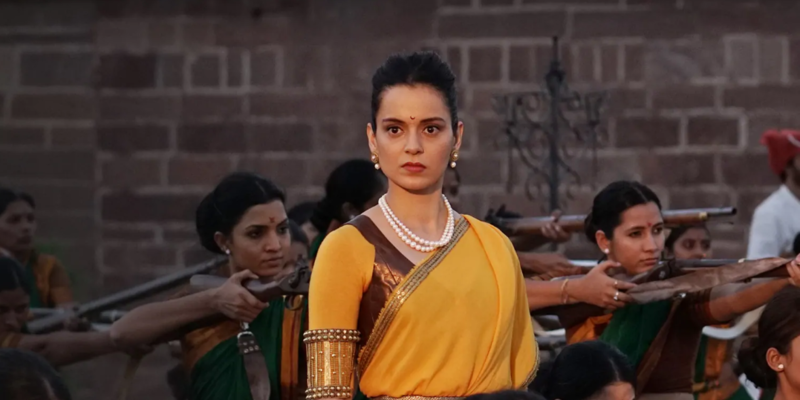 The performances – You have Naseeruddin Shah and Kalki Koechlin in parts that are tailor-made for them. Enough said. Then there’s Rajat Kapoor in a bittersweet part making a decent impact. The supporting cast does equally well out of whom Ratnabali Bhattacharjee deserves a special mention. The intent – Waiting doesn’t attempt to be a tearjerker, which it could easily have been. Rather it offers a practical stance. There’s a scene where Shiv explains Tara the phase of this ‘waiting’ period – which pretty much sums up the maker’s perspective. On the whole, Anu Menon delivers what she promised. Roughly about 90 minutes runtime, Waiting is a simple film – low on gloss, high on poignancy. Definitely worth a dekko! 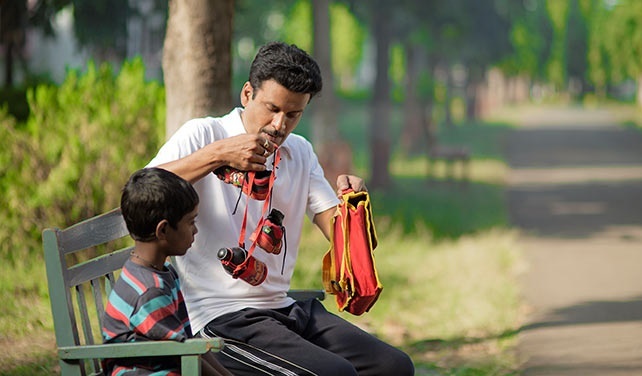 Budhia Singh Born to Run – Finally, a well-made sports biopic from India!